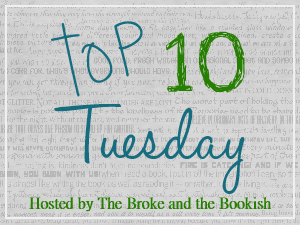 The topic this week is Top Ten Favorite Beginnings/Endings in Books. This one was super awesome to explore. I have so many favorite books, and even more favorite quotes, so looking for book beginnings/endings that I loved was a blast! Finding them was easy... narrowing them down, on the other hand, was quite difficult. This week's topic is Top Ten Best/Worst Book to Movie Adaptations. This topic is one of my "issue" topics. For some reason, I can get really upset when I find a book that I love is being turned into a film. At times, I find I really had nothing to worry about. The film people took the book and made something great, entertaining, endearing, what have you. Then there are those times where the movie just... well, I'd just rather not speak of it. It will only make me upset. Greetings everyone! Today is my birthday! Woo hoo! 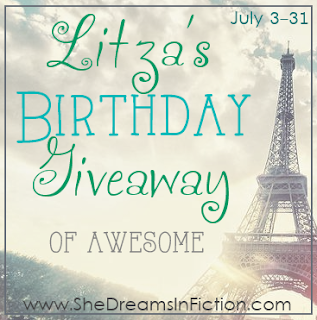 To celebrate, I thought I'd do a fun giveaway centered around one of my favorite books, Anna and the French Kiss by Stephanie Perkins. I've been collecting items for this giveaway for a while now, so I'm really excited to finally share it all with you! Now, I will be honest... I ran into a few problems. I was going to gather the finishing touches for this giveaway so I could have an awesome photo of everything you could win, but then the car broke down and I wasn't able to get them. Stupid cars. BUT! Since I wasn't able to grab my last remaining items in time for the giveaway launch, I thought I'd make it a little game and add them periodically throughout the month. Basically, I'll share each new piece to the giveaway by announcing it via Twitter or something, then adding it to the giveaway post. Maybe I'll even add an extra entry into the Rafflecopter, just for stopping by to see the new item(s). Hey you guys! Does anyone else always say it, "Heeeey you guuuuyyyysss!" in their heads? I can't be the only one. Cyber cookie for those who know the movie! *ahem* Moving on. It's me, Naomi! It is finally my turn to do a monthly wrap-up thingy (we're working on a better name...more on that later this week)! We're trying something a little new with how we present our wrap-up, and I'm not ashamed to say that we're borrowing some ideas from Refracted Light, so go ahead and send some blog love their way. They have a really snappy-looking blog, and it is our life's ambition to someday follow in their footsteps. Or something. I really don't know what I'm talking about right now. There are a few other things we've got in the works. Melissa is mustering up something quite exciting for this week! It's going to be so awesome! I hope everyone gets a chance to see it! I've also got a little something rattling around my head, to which I've already alluded, and it's going to be the very first thing that is all me baby! I'm so jazzed! Well, Melissa will be a part of it too, but we'll just leave that bit for now so I can revel in my illustrious glory! Mwahahaha! A bit much perhaps? Yeah... Well! Onward to our brand-new-looking Monthy Wrap-Up Thingy!